Here you can watch the selected video. If it's a song and the publisher entered additional informations, you will find these on the right side. La paura è propria delle persone che non hanno la fede. Tipi, forme e specie di paura: paure morali, spirituali, psicologiche. 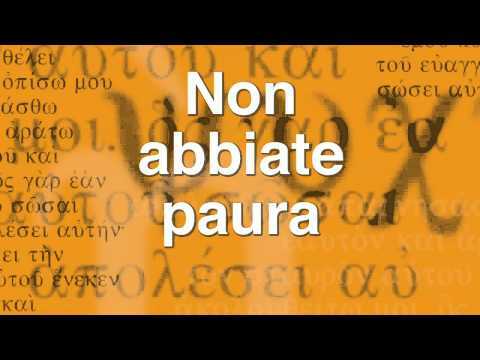 L'unica paura "secondo Dio" e benedetta da Lui. Important Note! All videos presented here, are videos from YouTube, MyVideo or similar operators from video portals. The copyright resides still with the author or the legal copyright owner of the video. If the usage of a video is prohibited on a private homepage like thisone, please be so kind and send us a notice including the link to the video to @ Lode a te Forum and kindly ask to remove the video from our list.